Protecting your business is a whole different animal. Focus on, well, everything else. 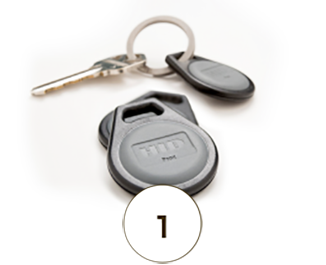 Simplify your day with managed access control services that give your employees access to buildings and rooms via key ring fob, ID card, or sensors affixed to smartphones. You pay for the comprehensive service month-to-month and we oversee hardware and software—making sure you’re always up to date with the most current security technologies. Wellington Security Systems, located in the Twin Cities Metro area, can assign different access levels, arm and disarm access cards, and schedule specific timing for doors to lock and unlock throughout your facilities. Don’t be distracted from your core business role, leave the business of security to us. Reduce Operating Costs Save operating costs by reducing your IT and Security Systems support. Lower Security Expenditures Eliminate expensive hardware and software investments. Easy Maintenance Save yourself the hassle of hardware, software, and firmware updates. Required Redundancy Instill confidence from automated, offsite backups to the cloud. Convenience & Urgency Easily modify employee access 24/7 through contact with our service office. Peace of Mind Rest assured that your property is being managed and monitored by experts. Perfect for employee populations that already carry a ring of work keys or wish to wear a retractable belt lanyard. 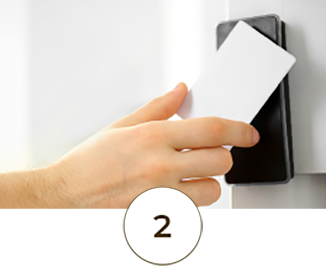 Individual proximity cards used in combination with scanners or keypads to allow keyless entry for database-approved IDs. 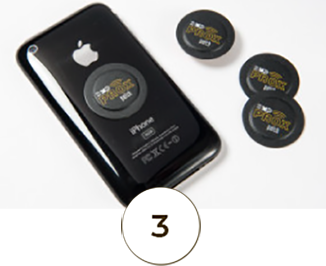 Stickers with built-in sensor technology are applied to any device or smartphone to allow convenient keyless entry.